The Finding Dory Bubble Science Kit: Using fun and simple bubble experiments, kids can learn about surface tension, air pressure and other scientific principles. With seven exciting activities and fun characters from Disney Pixar's Finding Dory, little fish of any age will get swept up in science! 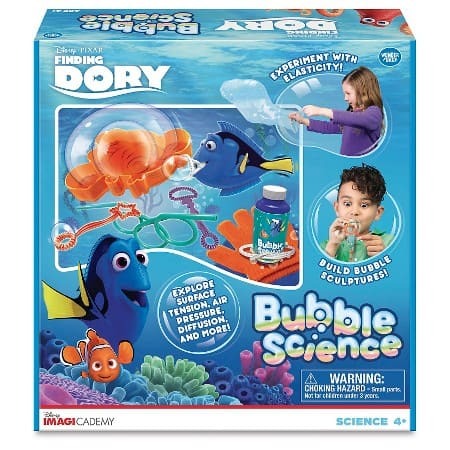 The Disney Pixar Finding Dory Imagicademy Bubble Science Kit lets kids experiment with elasticity, build bubble sculptures, explore surface tension, air pressure, diffusion and more! 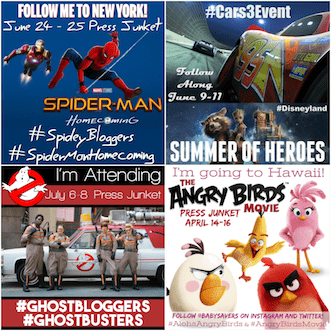 Dive into science with Dory, Nemo and friends! Shop for the Finding Dory Bubble Science kit now!